Occasionally an anniversary ring is given on the arrival of the first child, or any other time you or your partner feels that a celebration is on order. Whatever the occasion, they are a symbol of something you have achieved together. And in this day and age, any achievement like the longevity of a marriage, or the birth of a baby should be suitably recorded and rewarded. Diamond anniversary rings, or eternity rings as they are often called, are a particularly special way of marking the years, or a special event. You’ll usually find that diamond anniversary rings include a number of diamonds in a circle, to symbolize everlasting love. 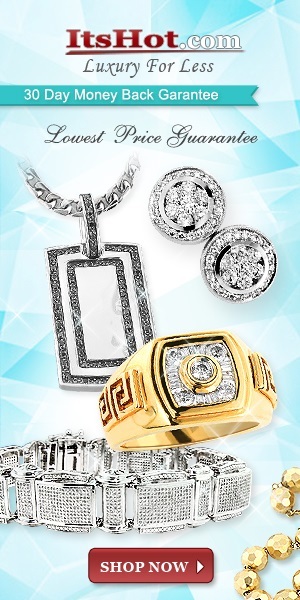 Another popular trend is three diamonds, which represent the past, present and future of your life together. Once upon a time a bride had to wait ten years for her anniversary ring, but nowadays that trend has all but disappeared and many brides-to-be select their diamond anniversary ring at the same time as the engagement and wedding rings so they have a complete matched set. 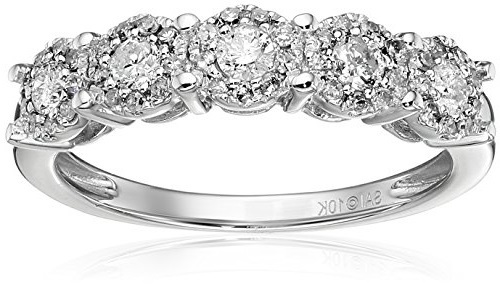 I suggest you check out the fabulous range of anniversary rings, with matching engagement ring and wedding band, at our favorite online jeweler: mondera.com. A diamond anniversary ring is generally designed to match the engagement ring and wedding ring, usually in the same style and the same metal. In fact, many jewelers offer a package of engagement, wedding and anniversary rings, which may seem expensive at the time, but will save you money in the long run. Buying a package also ensures that you know your anniversary ring will perfectly match your engagement and wedding rings. Various gemstones have been adopted to represent wedding anniversaries. Of course, the most popular is the tenth wedding anniversary which is traditionally the time for diamonds. But you may wish to celebrate your five year union with a sapphire anniversary ring, or the fifteenth anniversary which is represented by rubies. Whatever the anniversary or celebration, a diamond anniversary ring is symbolic of your union and it’s certainly for keeps, just like your marriage.